Join MAP For This Month’s Reading Group! 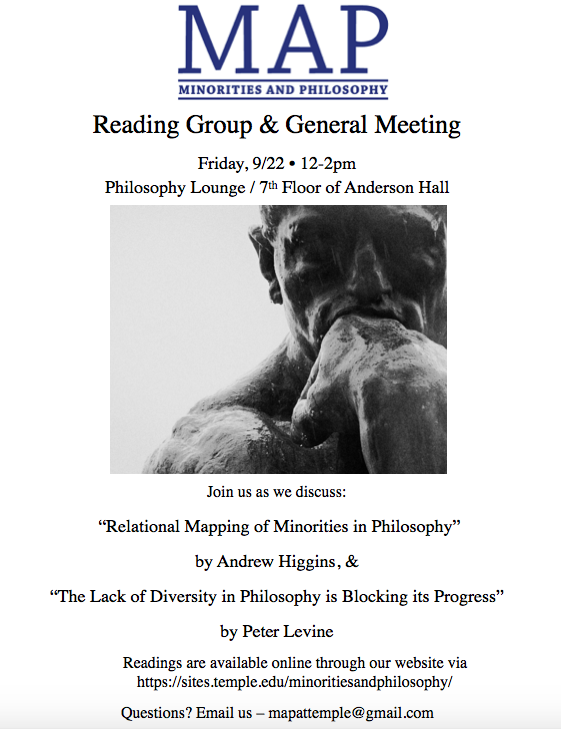 The reading group will begin promptly at 11am, and will be held in the Philosophy Lounge on the 7th Floor of Anderson Hall. When was the first time you remember seeing yourself reflected onscreen? Or have you yet to truly experience this? 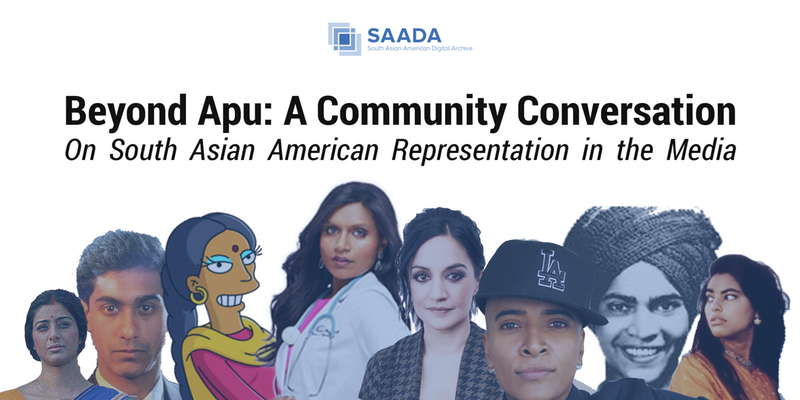 On March 10th, Drexel University and the South Asian American Digital Archive (SAADA) will host the Philadelphia premiere of Hari Kondabolu’s The Problem With Apu documentary, followed by a community discussion about representations of South Asian Americans in popular culture. All proceeds will benefit our work to document and share South Asian American stories. In the vein of SAADA’s award-winning First Days Project and Road Trips Project, we will also be collecting personal memories from the audience to permanently preserve in our archive. In the afternoon, participate in the fifth (and our third!) annual Art+Feminism Wikipedia Edit-a-thon, a communal updating of Wikipedia entries on subjects related to gender, art, and feminism. Wikipedia’s gender trouble is well-documented. In a 2011 survey, the Wikimedia Foundation found that less than 10% of its contributors were women. While the reasons for the gender gap are up for debate, the practical effect of this disparity is not: content is skewed by the lack of representation from women. Let’s change that. Tutorials will be provided for the beginner Wikipedian, along with reference materials, and refreshments. People of all gender identities and expressions are invited to participate, particularly transgender and cisgender women. Panel starts at 11:00 AM/Training starts at 12:30 PM/Editing in full swing at 1:30 PM. Drop in at any time! Organized by the Institute on Disabilities at Temple, with support from the Interdisciplinary Faculty Council on Disabilities, the Disability and Change Symposium is a one-day, interdisciplinary conference focusing on cultural equity and disability. The event is free, accessible and open to the public. Registration is required. The “end of disability” has been a long-standing mantra for medicine and often repudiated by some disability studies scholars and others who question the “end” to mean extermination or erasure. Our 5th Annual Disability & Change Symposium asks us to consider whether the development of technologies such as bionics, implants, and smart technologies brings something new to the debate. 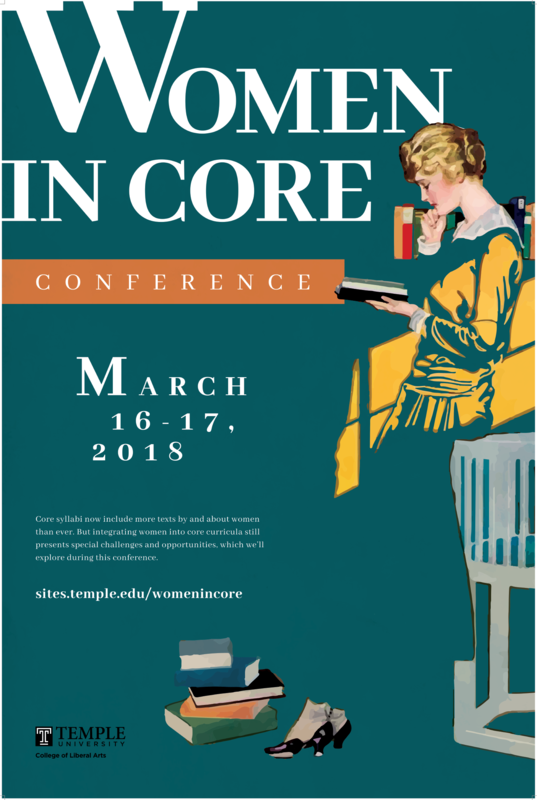 Come listen to interdisciplinary panels of speakers discuss the historic, philosophical/ethical, policy, applied rehabilitative, science/engineering, and first-person perspectives. MAP board member Kate Brelje will be leading our discussion. 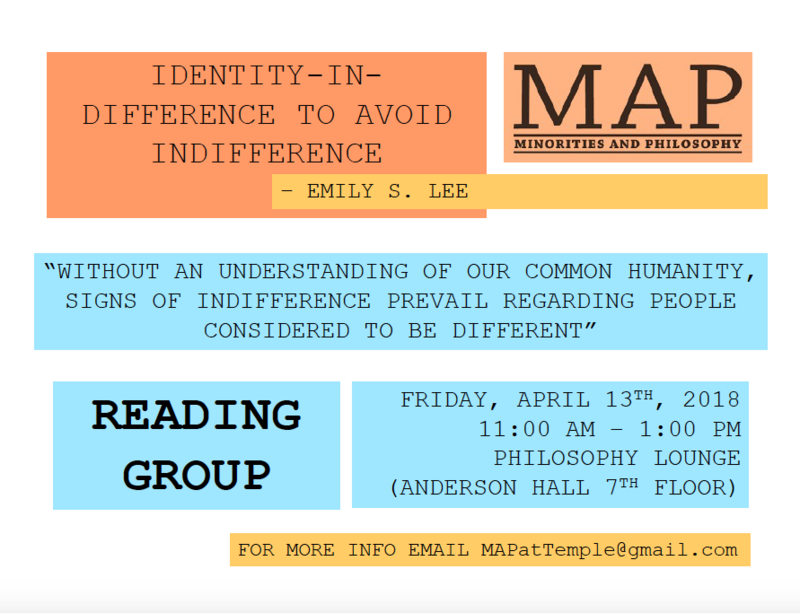 This reading group is open to everyone (including across discipline!) and we welcome anyone who is interested to attend. Join MAP for Our First Event! The two articles for the reading group discussion portion of the meeting can be found below.